On the 23rd of February, NYU’s Leonard N. Stern School of Business, School of Law, and Robert F. Wagner Graduate School of Public Service hosted the 10th Annual NYU Social Innovation Symposium. NYU Social Innovation Symposium. Images by Colleen Gearns. This year’s theme was Social Intrapreneurship: Transforming Business from Within, combining perspectives from business and entrepreneurship, public policy and law. 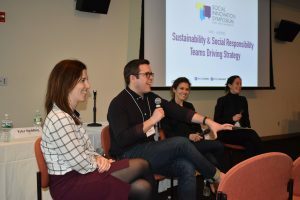 The event was attended by over 175 professionals, scholars, and students who were all eager to explore and share bold ideas addressing how businesses, governments, and organizations can be future-oriented drivers of social innovation. We kicked off the event with a keynote address from Hannah Jones, Chief Sustainability Officer and Vice President of the Innovation Accelerator at NIKE, Inc. She talked about using social innovation to solve complex sustainability challenges. The event was packed with engaging speakers who dove into a range of interesting topics linked to social innovation such as “Bringing Impact Mainstream,” “Lawyers Working the Law to Enable Social Good,” and “Founders and CEOs Integrating Social and Financial Goals”. 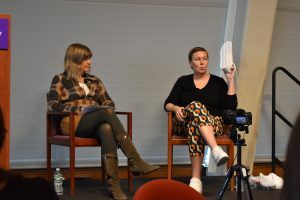 The panel discussions provided a forum for attendees to consider how they can innovate for change, both in their current work and with an eye to the future. Workshops led by Ryan Murphy, Sarah Malachowsky from SYPartners, and Alison Taylor from BSR provided attendees with an opportunity to hear about real-life examples of innovation. Workshops included the following topics: sketching to convey ideas, future-thinking, strategic foresight, and building sustainable businesses. We ended the event with a closing topic of “10 Minutes to Change the World.” Speakers included Al Chen, Co-Founder of Handshake and Currency Crate, Hicham Oudghiri, CEO & Founder of Enigma, and Sydney Price, Global Merchandising Executive from Profit + Purpose left the audience feeling inspired. 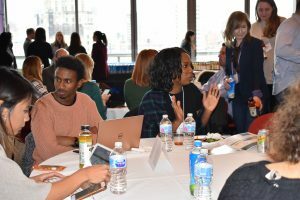 Attendees were able to network over drinks with social innovation executives, thought leaders, and peers who were all interested in creating a better world through innovation. This event received funding by the NYU Entrepreneurs Network Collaboration Fund. 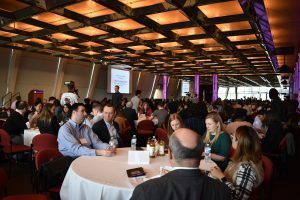 The Collaboration Fund provides grants to help promote entrepreneurship across NYU via cross-club collaboration. Applications are considered on a rolling basis and must be filed jointly by at least 2 clubs within the NYU Entrepreneurs Network. 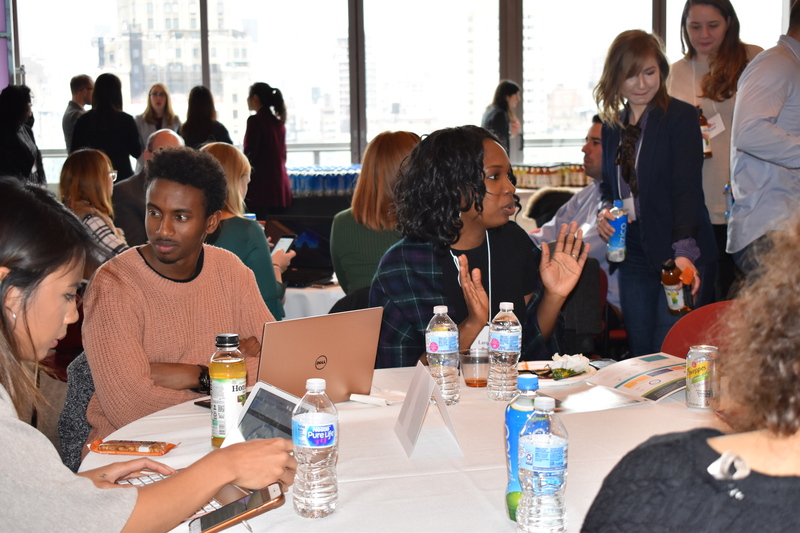 Read more about the NYU Entrepreneurs Network here and apply for the Collaboration Fund here.